The National Agency for Food and Drug Administration Control (NAFDAC) Tuesday, said there were no ‘killer’ on anti-malarial medicines in Nigeria. Dismissing fears of circulation of purportedly banned 42 antimalarial drugs in the country, at a press conference in Lagos, Acting Director -General, NAFDAC, Dr Yetunde Oni, urged Nigerians to disregard such misinformation. Briefing the media in Lagos, Oni said Artemisinin Combination Therapies (ACTs) are the current anti-malaria medicine used in malaria epidemic countries like Nigeria. The Director General, however stated that these antimalarial monotherapies are not recommended for treatment of malaria in Nigeria. “The recommended anti-malaria medicines for treatment of malaria in Nigeria are Artemisinin Combination Therapies (ACTs). “The Nigeria National Anti-Malaria Treatment Policy, February 2005 also supports the use of ACTs,” Oni said. According to her, any anti-malaria drugs that do not have the scratch and text techniques should not be in circulation. “Every anti-malaria drug should have an authentication scratch and text techniques, it is the first line of checking the quality of the medicine. “We want to douse the tension and correct the misinformation on the social and mainstream media about the 42 Anti-Malarial medicines purportedly banned by the European Union but allegedly circulating in the country. “It is pertinent to mention that the allegedly banned anti-malarial medicines are oral monotherapies containing single Active Pharmaceutical Ingredients (API) such as Artesunate as contained in Arinate tablet. She advised Nigerians to use ACTs as they were the WHO’s recommended anti-malarials. “I wish to state categorically that these anti-malarial monotherapies are not recommended for treatment of malaria in Nigeria. “The use of ACTs in the treatment of malaria is in line with the guidelines for the treatment of malaria, third edition, World Health Organisation(WHO) 2015, Geneva Switzerland. “The Nigeria National Anti-Malarial Treatment Ploicy, February 2005 supports the use of ACTs. 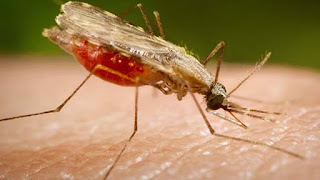 Sulphadoxine Pyrimethamine (SP) is also a combination anti-malarial medicine recommended by both the WHO and the Nigeria National Anti-Malarial Treatment Policy for the Intermittent Preventive Treatment (IPT) of malaria,” Oni said. Continuing Oni who advised Nigerians to reject oral monotherapies containing single Active Pharmaceutical Ingredients, also added that anti-malaria drug that do not have the scratch and text techniques should not be in circulation. “When you scratch and text; immediately an information comes back to give the status of that particular anti-malarial. We have been able to achieve our deadline on this scratch and text since January 2017. She further announced that NAFDAC will be deploying a new application in the market that will enable users of NAFDAC registered products to be able to check the status of the products on their phones. On the issue of chloroquine, Director of Registration, Mrs Titilope Owolabi ‎explained that Chloroquine was no longer use for malaria but was registered by NAFDAC for other indications.